I had to mix up some ‘Cajun spices’ when cooking up a shrimp recipe a while back, when I realized I no longer had my Cajun Sweetness spice mix. I quickly found a few recipes online, and took what I wanted from them. After that debacle (yeah, I’m being dramatic), I figured I should make up a recipe that I can use when I need some Cajun spices. I did a little bit of “research” online, and came up with a mix that I thought would be a good mix of herbs and spices and add just enough heat. This is a mild-medium blend, as it is meant more for flavour than heat. 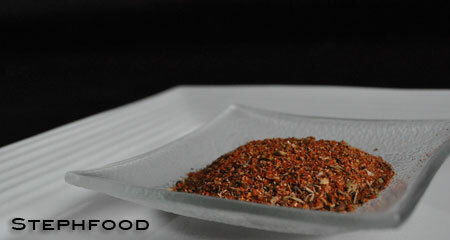 I generally like my spice blends to be mild, and I add in the right amount of heat to each dish. If you only have dried garlic and onion pieces/granules, you should grind them to a powder first. Put in an airtight container, like a spice jar.